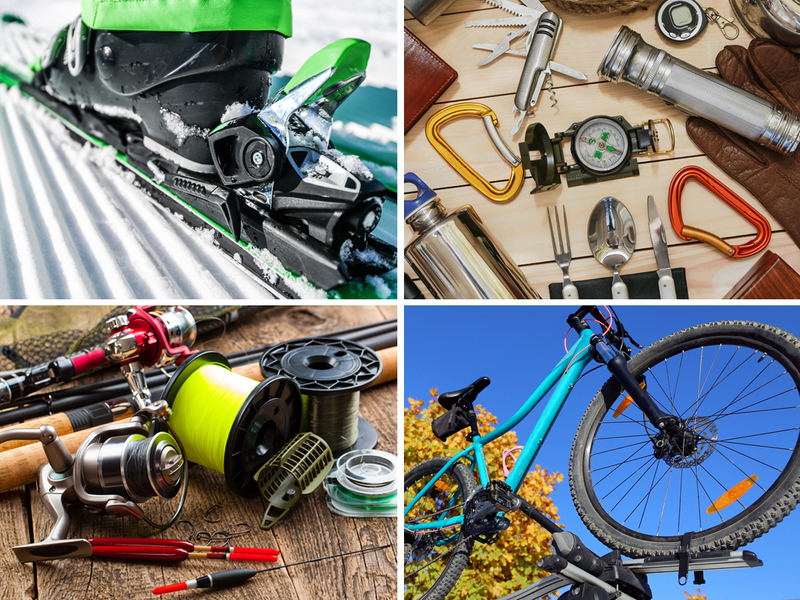 The performance demands of the outdoor recreational gear industry requires parts and components that combine light weight, extreme durability, high strength, corrosion- and UV-resistance, and offer the highest levels of reliability. There are numerous hand tool products being manufactured across multiple industries and Boker’s is able to accommodate virtually any stamping or washer component size and specification requested by customers. Boker’s, founded in 1919 by Vitus Boker and his son, John, started their family business around their first products, an envelope folding machine and a small hand check protector..
An accidental meeting between Herman Garmers and J.P. Boker resulted in a complex stamping solution and a business partnership that has lasted over 85 years. 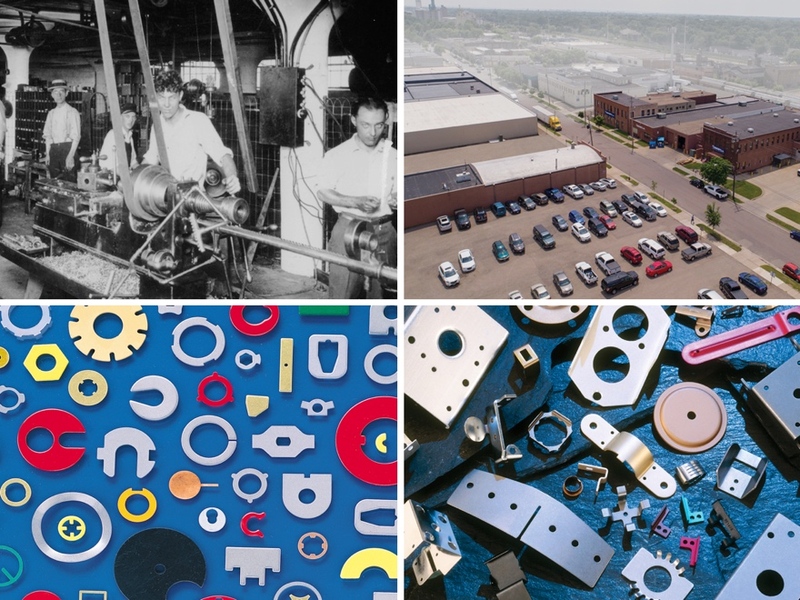 This year's commemorative catalog is a combination of their stampings and washers capabilities, including a special section celebrating their 100th anniversary, featuring an overview of Boker's rich history, significant milestones and memories from employees throughout the years. Boker's easy-to-navigate 15-month complimentary calendar provides a comprehensive at-a-glance view of the 65-week scheduling guide, including boldly identified Sundays and holidays in red. A handy metric conversion chart is included on the back side. Boker's, Inc. has added 512 new flat washer sizes to its extensive offering. These additions expand its production capacity for a wide range of applications and industries. 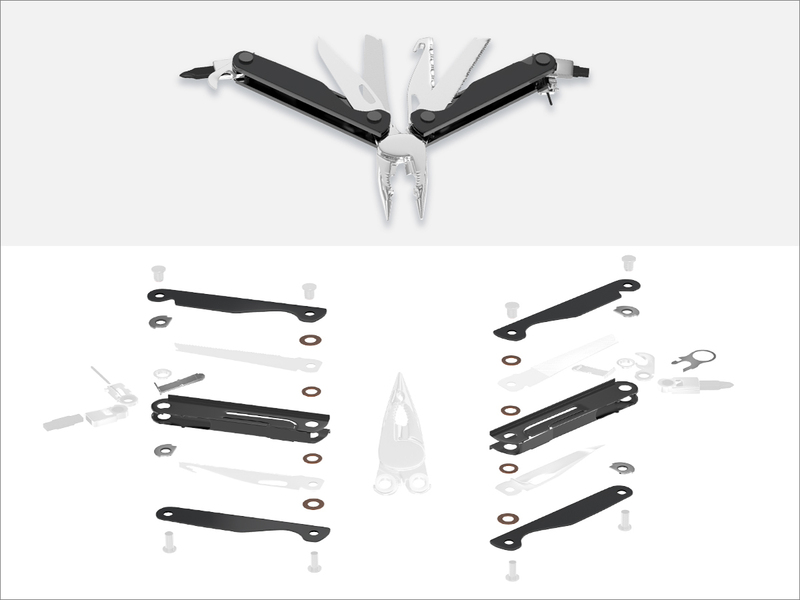 With the addition of new sizes, Boker's offers an expansive line of over 32,000 non-standard washer, spacer and shim sizes with no tooling charge. 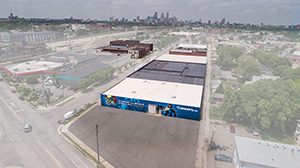 In response to their growing customer needs Boker's acquired a building that provides an additional 66,500 square feet of manufacturing space to their current manufacturing facitilities. The expansion project began in March 2018 and is projected to be completed by December 2018. 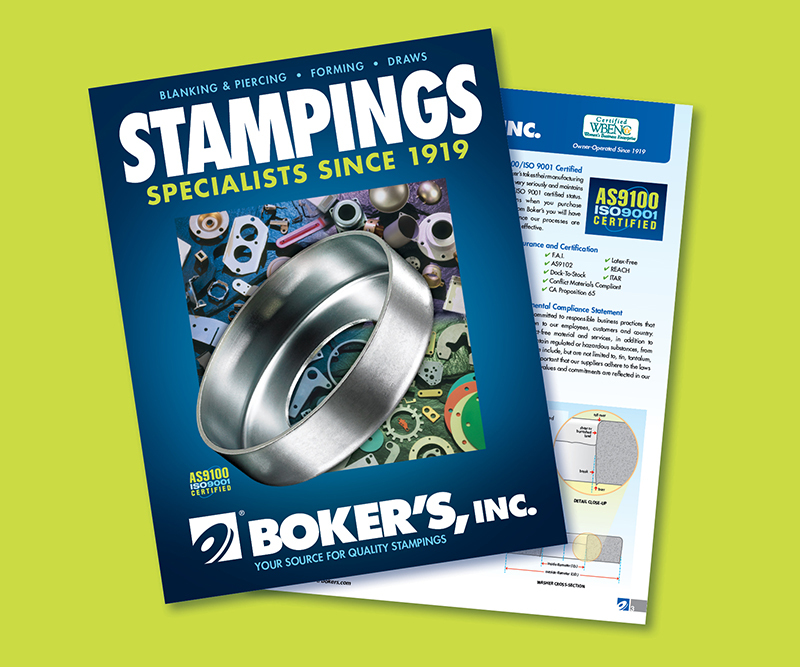 Boker's announces its 2018 Stampings Brochure is now available. Serving as a valuable industry resource, the brochure provides a comprehensive overview of the company's stamping capabilities. 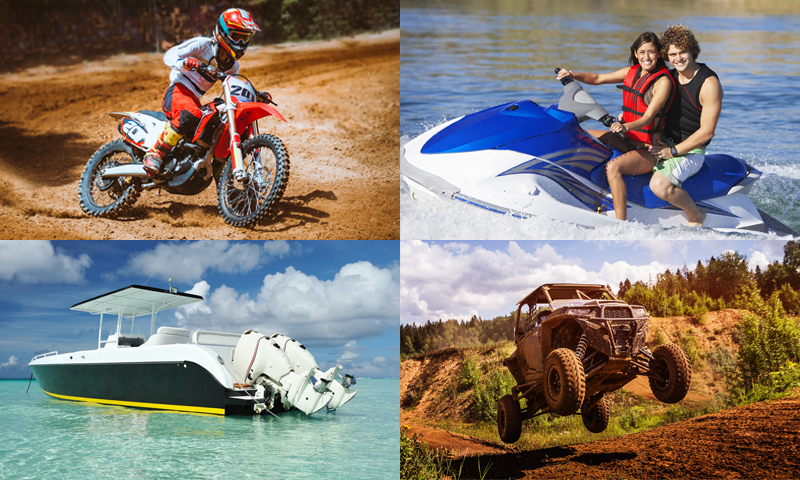 Boker's, a metal stamping manufacturer of precision metal stampings, washers, spacers and shims, expands its capabilities for stampings and washers in recreational vehicle applications. Boker's offers custom D–washers to its customers. D–washers provide a flat bearing surface and are used under the head of a bolt and / or a nut to disperse loads as well as prevent the washer from turning in the application. They are generally mounted with the flat edge of the washer facing a flat surface or recessed hole. Boker's offers custom C–washers to its customers. 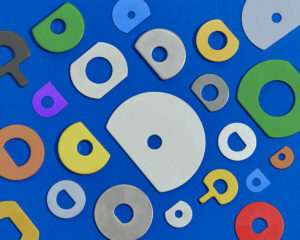 C–washers obtain their name for being in the shape of a "C" as they have a slot cut from the center to the perimeter allowing the washer to be removed, replaced or inserted without completely removing the fasteners. 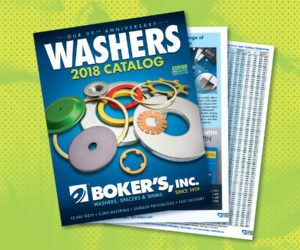 Minneapolis, MN—November 14, 2017—Boker's Inc. announces that its 2018 Washers Catalog is now available. 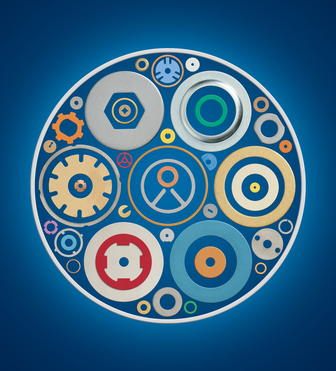 This 64-page manual offers an all-inclusive reference guide for flat washer selection as well as detailed information on the companyâ€™s more than 32,000 non-standard flat washer tools. 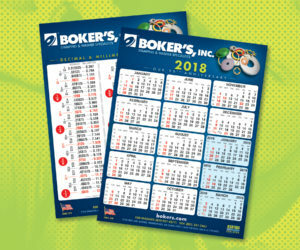 Minneapolis, MN—November 1, 2017—Boker's, Inc. announces its 2018 Calendar and Conversion Chart is now available. Designed for quick and convenient scheduling, the 15-month complementary calendar provides a comprehensive at-a-glance view of the 65-week scheduling guide including boldly identified Sundays and holidays in red. 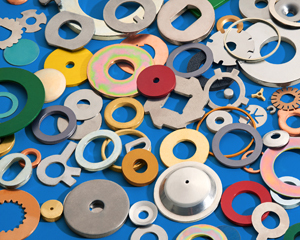 Boker’s, Inc. has added 737 new flat washer sizes to its offering to further accommodate a large range of applications and industries. Boker's has expanded their stamping and washer production capabilities to ensure quick turnaround on long runs. Bokers Inc. announces its extensive manufacturing capabilities of spacers to accommodate a wide range of applications across virtually any industry. Boker’s, Inc. has qualified for the SAE Aerospace Quality Standard AS9100, the highest international measure of quality and safety in the aviation, space and defense industries. Boker's 2014 Washer Catalog Now Available! This This 60-page handbook provides a comprehensive reference guide for flat washer selection. Boker's easy-to-use, one-page scheduling tool with convenient metric conversion chart is now available. Boker's capabilities include flat washers and custom shapes such as tab and notched washers that are created to meet your exact specifications. Sizes up to 12" in outside diameter. Read more. 608 New Flat Washer Sizes! Once again we've expanded our selection of non-standard flat washer sizes. Boker's, Inc. announces that its vast manufacturing capabilities include non-standard square and rectangular washers. Non-standard square and rectangle flat washers cover a range up to 12" x 12" with thicknesses from .005" to .135". Read More. Get exactly what you need, shipped in 5 days or less! Currently Boker's has the capacity to ship your specific washer orders—in short, medium or large runs—in 5 days or less.